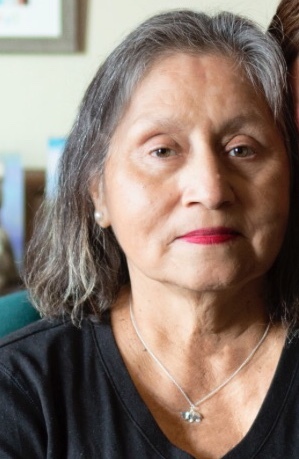 After a long battle with cancer, Graciela Escalante passed away on September 30, 2018. She is survived by her spouse, Pablo Escalante; her 3 children, Aurora Torrans, Pablo Escalante Jr, Isabel De La Cruz; her son-in-law, Israel Torrans; and her 5 grandchildren, Jayden Arden Torrans, Alejandro Lemus, Joseph Ashton Torrans, Benjamin De La Cruz, and Sofia De La Cruz. She leaves her beloved friend who was like a daughter, Griselda Tovar and her two additional grandchildren, Luz Tovar and Victor Tovar. Graciela Escalante was born in Tampico, Tamaulipas Mexico to Guillermo and Aurora Priego on February 25, 1953. She married Pablo Escalante on February 21, 1971 in Chicago, Illinois. They later moved to Longview, Texas in the winter of 1979 where she resided for the rest of her life. Beside spending time with her family, she loved to travel, meet new people and have endless conversations about life. Her home was always filled with music and laughter. She enjoyed watching her her two grandchildren, Jayden and Joseph play baseball and you could always see her in the stands cheering them on. She was very passionate in what she believed in and lived life on her own terms. She touched many lives with her generosity and passion for life. Ms. Grace, as she was lovingly called, will be missed by many.